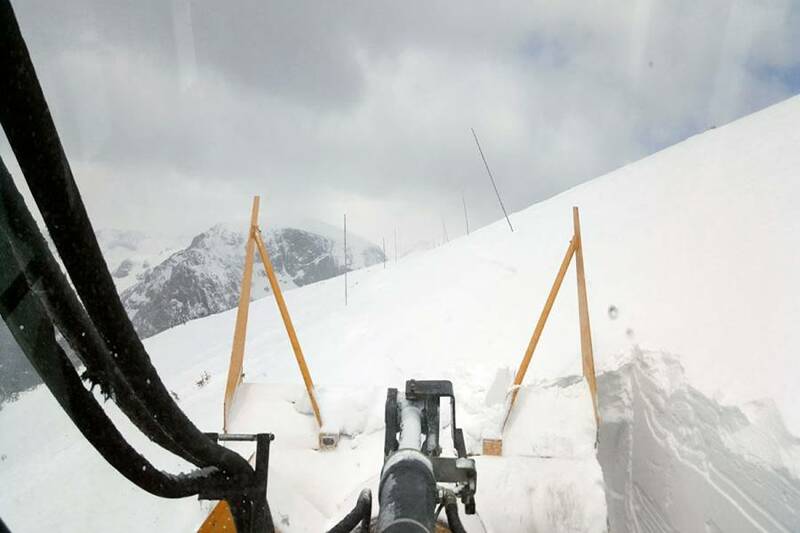 Thanks to last week’s epic spring snowstorm and continuing winter conditions at high elevations in Rocky Mountain National Park, Trail Ridge Road’s opening will be delayed and will not open over the Memorial Day Holiday. 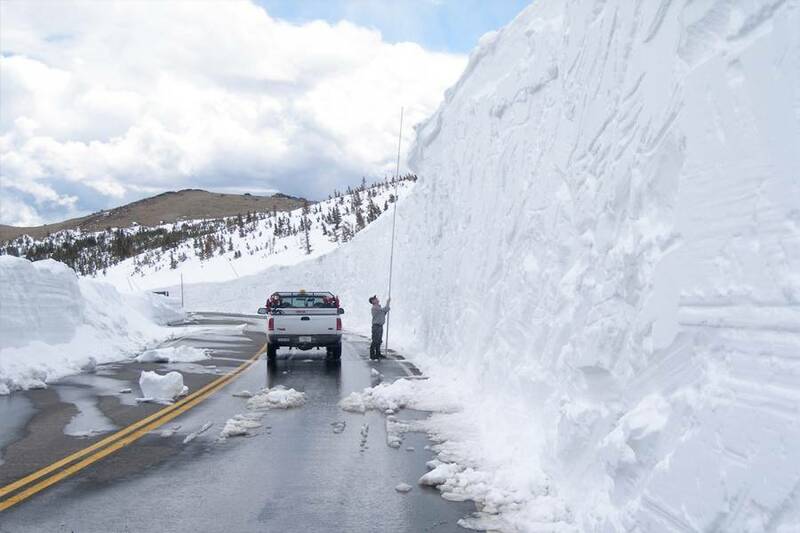 The famous high altitude road was on track to open on time as recently as last Wednesday, but because spring time in the Colorado high country is unpredictable, Rocky Mountain National Park’s plow operators now find themselves digging through eight to 14 feet of snow. 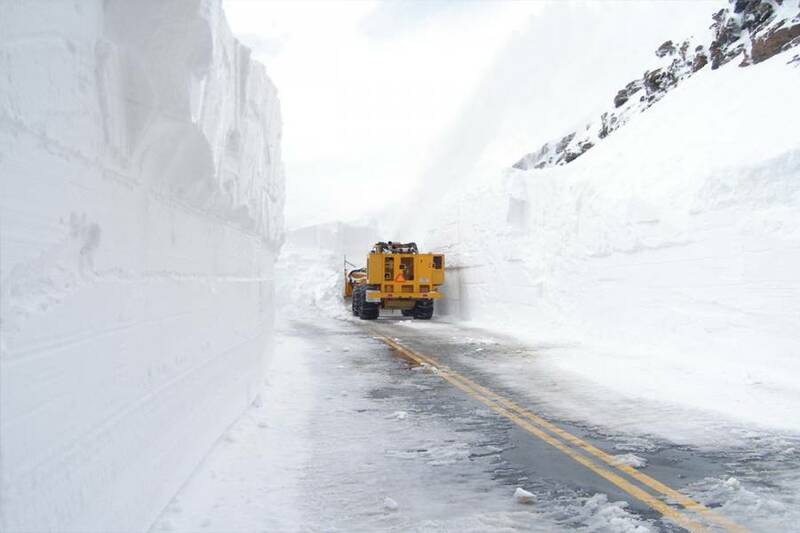 Every year, Rocky Mountain National Park snowplow operators begin plowing Trail Ridge Road in mid-April. Crews from the west side of the park and crews from the east side of the park move along the road and eventually meet near the Alpine Visitor Center. Plow operators normally encounter drifts from 18 to 22 feet and are accustomed to plowing the same section of road over and over. Trail Ridge Road was completed in 1932. The road covers 48 miles between Estes Park and Grand Lake. Eleven miles of this “highway to the sky” is above tree line – with a high point of 12,183 feet. 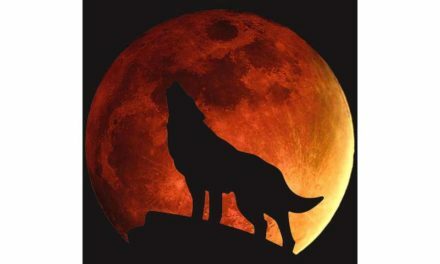 The earliest the road has opened was on May 7, 2002; the latest June 26, 1943. In 2011, the road opened on June 6. 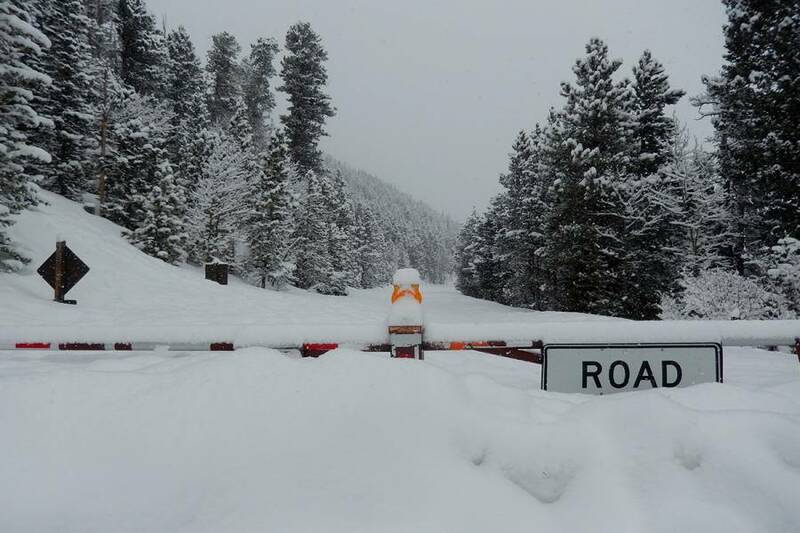 In a news release, the park said it’s too early to know when they’ll be able to get the road open this year because there are more cold temperatures in the forecast. 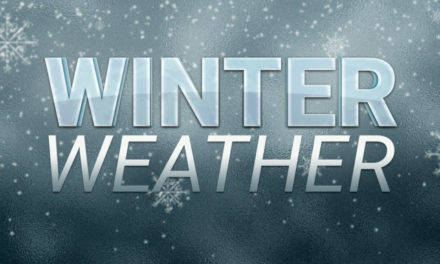 Park snowplow operators will continue to plow the road; the road will open as soon as it is safe to do so. 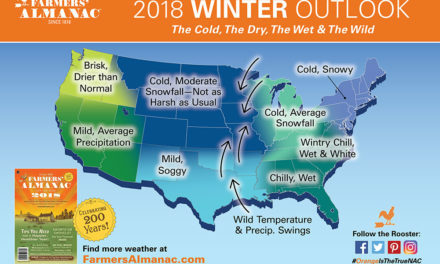 Due to the extended forecast for winter conditions at higher elevations, it is too soon to predict when that might be. For further information about Rocky Mountain National Park please contact the park Information Office at (970) 586-1206, the Trail Ridge Road status recorded phone line at (970) 586-1222 or check the park’s website at www.nps.gov/romo.